Use the calculator below to determine how much rubber mulch you need for the area you have. We recommend a depth of 2" or more for playground surfaces to meet ASTM safety guidelines. If you need additional assistance contact your local playground equipment or garden center or give us a call toll-free at (877) 494-3875. Our rubber mulch is free from 99.9% of all contaminants such as nylon threads and steel belting. 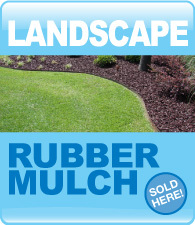 Be sure to get that guarantee from anywhere you plan on buying quality rubber mulch. KidWise rubber mulch is available in six colors to coordinate with your surroundings or for just plain fun. How much Rubber Mulch do you need? Depth in Inches : 1" 2" 3" 4" 5" 6"